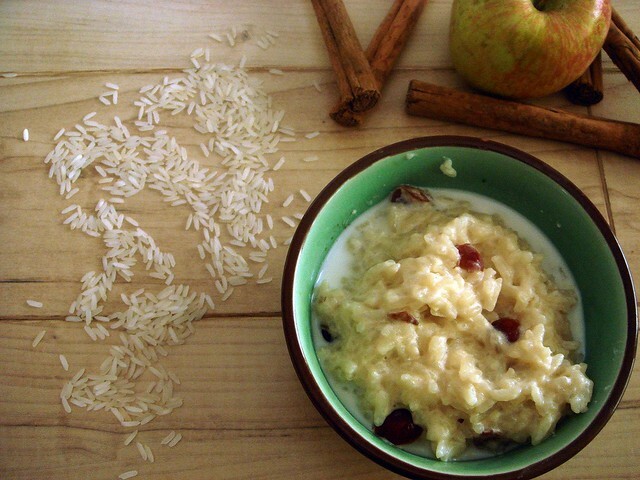 What makes rice porridge different from rice pudding? It's not as sweet and isn't made with traditional custard ingredients, such as milk or cream and eggs, as some recipes do. The recipe I use comes from an old American Girl cookbook. I used to make it twice a month, but stopped a few years ago. 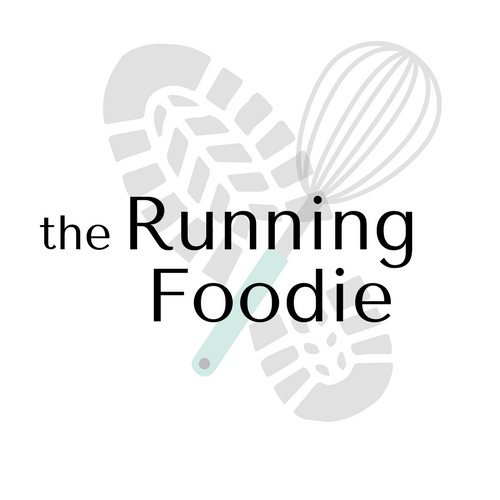 I thought about it again during the end of my run on Sunday because I was hungry, tired, and wanted something filling to eat. The only downside is that it takes an hour or longer to prepare, but I had no problem nibbling while I waited. To begin, jasmine rice gets cooked with butter, a cinnamon stick, and water. As that mixture simmered, I prepped the remaining ingredients. I measured out 4 cups of milk, chopped an apple, and measured the brown sugar and dried cranberries. I've really been loving the pinch bowls I got from Wayfair.com. They're nice for snacks because there are measurement markers, so you can easily figure out how much you're portioning out. For backing and cooking, I can dump ingredients right in according to the lines. Once the rice is ready, milk is added and heated just until it begins to simmer. 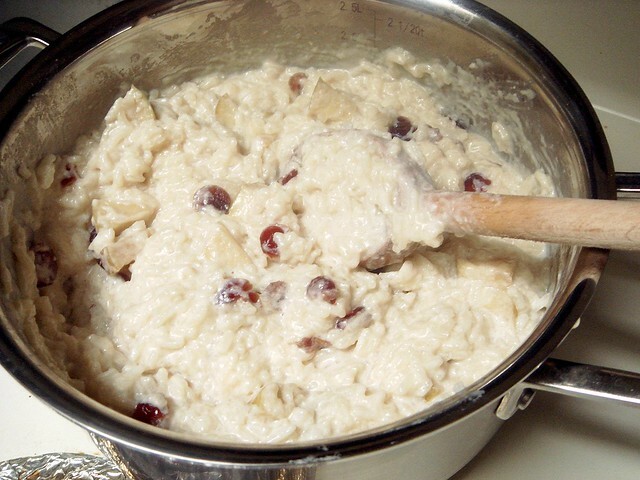 The rest of the ingredients are stirred in and the porridge is cooked for 30-45 minutes, until the consistency is of a thick pudding. You can cook it a bit less if you want a somewhat runnier consistency. I always have trouble with this step. Milk isn't supposed to boil because it will curdle. The recipe tells you to reduce heat to low and cover with a lid, stirring occasionally. Even after doing this, the liquid still sometimes boils! I guess I should leave the lid off next time. However, it didn't get too curdled, though it took just 25-30 minutes instead of 45. I can deal. 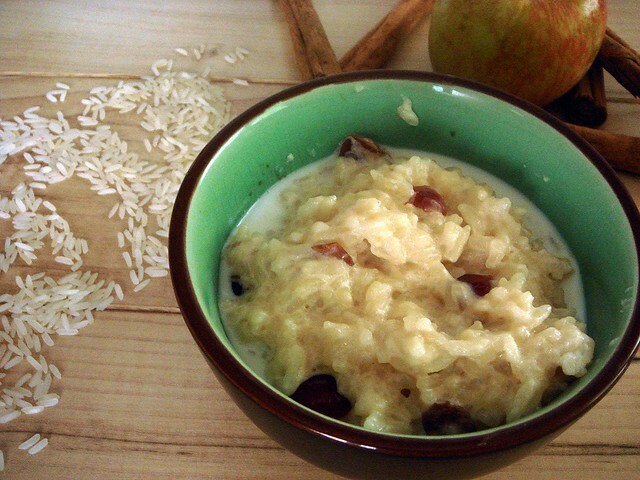 This rice porridge is comforting, delicious, and lightly sweetened. You could drizzle the top with honey or stir in more brown sugar, if you'd prefer. It might not be the most nutritional start to the day, though if you used brown rice it would be better for you. If you would rather use brown rice, try preparing it the day before, proceeding to step 2. Rub the finger onto the bottom of a 3-quart saucepan. 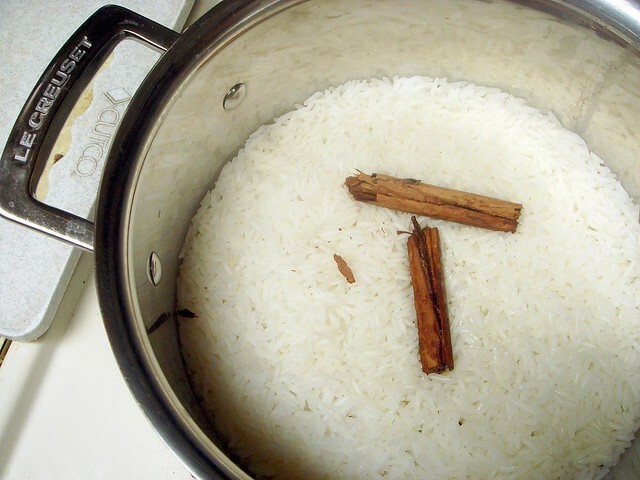 Put the rice, water, cinnamon stick and salt in the saucepan and bring to a boil over medium heat. Lower the heat to a simmer. 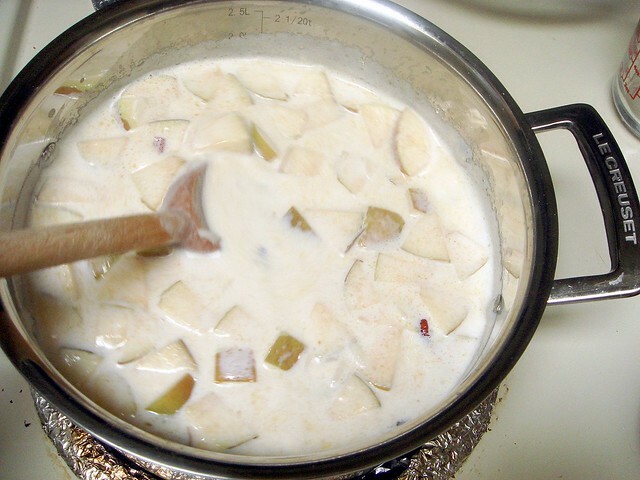 Cover the pot and simmer for 10-15 minutes, or until all the water has been absorbed. Pour the milk into the saucepan. Over medium heat, bring to a simmer. When the milk begins to simmer, turn heat down to low. 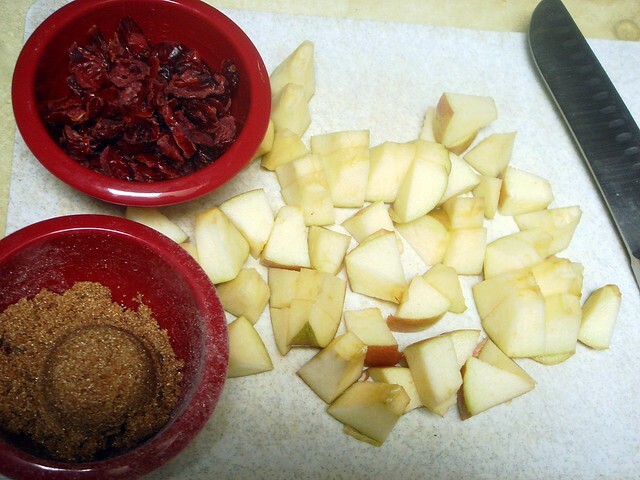 Carefully add the apple, dried fruit, and brown sugar. Stir gently. Cover the pan and simmer the porridge for 30-45 minutes. As it cooks, it will thicken. Stir occasionally. When the porridge is the proper consistency, take the pot off the heat. Remove the cinnamon stick and stir in the extract. Serve with additional milk and honey. I am Swedish and Finnish and these photos with the recipe were very tasty and helpful! Thank you! This looks so homey and tasty! I just love to use cinnamon sticks. I recently received a spice set that had them wrapped up with a bow. So pretty! The Harried Cook - You should give it a try, it's like a dessert for breakfast that's pretty good for you. Emilie 1 - Glad it helped! Emilie 2 - That sounds so cool. I love interesting spice kits like that! I love how old-timey cinnamon sticks look, too, like floating in a mug of hot apple cider.